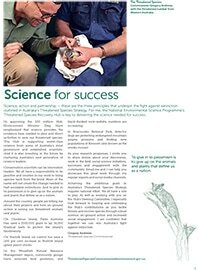 National Environmental Science Programme (NESP) Threatened Species Recovery Hub. 2015. Six ink illustrations as part of the branding of the Australian Government's NESP Threatened Species Recovery Hub. Published in all NESP TSR Hub communication collateral, and in use between 2015-2020. 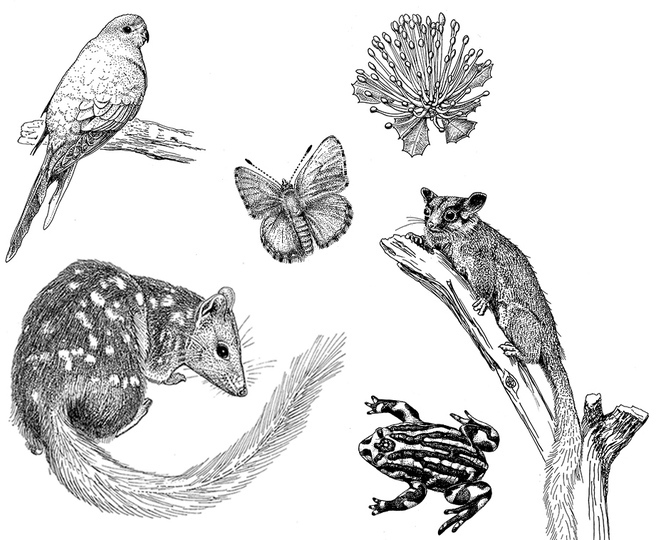 Example of spot illustrations in the first issue of Science for Saving Species magazine, May 2016.